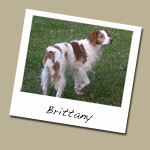 Brittany: Biddable, affectionate and loyal, the Brittany has a soft, beautiful brown and white coat and infectious spirit. Smaller and lower to the ground than many pointing breeds, the Brittany is as maneuverable as a sports car in the fields and forests. 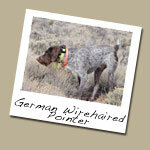 German Wirehaired Pointer: Loyal and hard working, wirehairs are master trackers with lots of prey drive, and will bust the brush like a Labrador when needed. 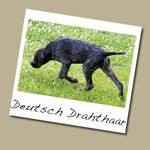 Deutsch Drahthaar: Drahts are expected to seek out furred and feathered game from pheasants to wild boar, follow a blood track, retrieve all types of shot game on land and water, and of course, protect their human family. 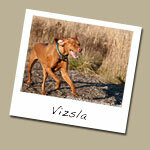 Chesapeaske Bay Retriever: Strong, large, powerfully built for the toughest conditions, this dog has a distinctive two-layer coat: wooly underfur, plus short harsh, wavy jopcoat. 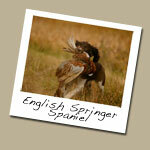 English Springer Spaniel: Hunting with one is a fast-paced, exciting affair, as there’s no pointing . 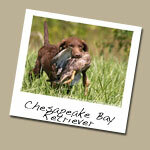 . . just hard-charging dogs pushing birds into the air within gun range. 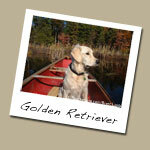 Golden Retriever: A loyal companion, the Golden is among the most trainable dog breeds around. 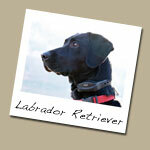 Labrador Retriever: That love of water also made them ideal duck and goose dogs and the word soon spread across the Atlantic when bird hunting became the sport of kings. 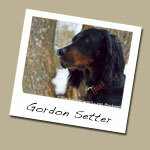 Gordon Setter: A methodical hunter, the Gordon may not move as fast as his English kennelmate, but for many foot hunters, that’s just fine. 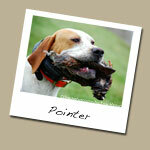 Pointer: Pointers were developed in the 1600’s before guns were used for wingshooting, to point hares for Greyhounds to chase. 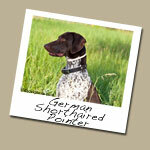 German Shorthaired Pointer: The shorthair quickly became popular with hunters who needed one dog to do it all: point, track, retrieve furred and feathered game on land and water … and serve as family companion. 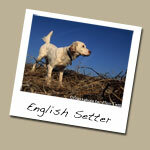 English Setter: The “setter” moniker came from the original dog’s behavior, laying down (or “setting”) after locating game, so the hunter could throw a net over the prey without tangling in the dog.